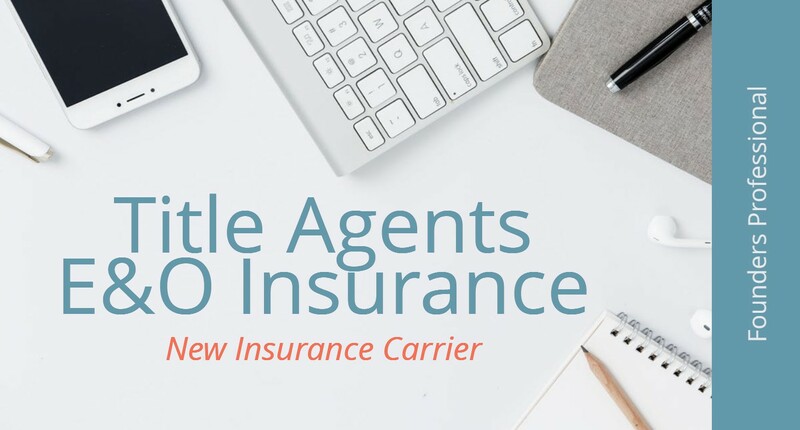 The title insurance industry is a traditionally tough sector to place professional liability coverage for. Founders Professional recognizes that and looks for insurance carriers to align themselves with that will help our agents be more successful when quoting this unique class of business. Our new partner in writing title agents errors & omissions insurance.